After a period of relative quiescence, Blina Minerals this week said it had taken an 11% shareholding in public unlisted Australian gold exploration company Condamine Resources, who is acquiring and developing a suite of interesting looking projects in New Zealand. The $250,000 investment in Condamine by Blina came via a share placement at 12c, with a 1.25 for 1 free attaching option exercisable at 25c over a 3 year term. The investment by Blina will provide Condamine with additional funding for the commencement of a drilling campaign, scheduled for the first half of 2019. Condamine holds 4 key gold projects within the historical Reefton Goldfield near the north western corner of the South Island of New Zealand. The Goldfield has a total endowment of 2.5 million ounces since its discovery in 1870, including a combined historical gold production from the Condamine tenements estimated to be 327,000 tonnes grading an impressive 25.4g/t gold for 268,000 ounces. Condamine’s granted brownfields tenement package forms part of this well-known mining region that has an extensive history of high-grade gold production stretching back almost 150 years. All of Condamine’s project areas have produced gold in the past but are still relatively under-explored using modern exploration techniques, making them ripe for the picking. The Alexander River gold project consists of a group of historical gold mines that represent a series of mineralised ore shoots or lodes that produced more than 41,000 gold ounces from just over 48,000 tonnes at an average recovered grade of nearly an ounce to the tonne. The project contains a 1.2km long outcropping quartz reef with drilling approvals expected in the March quarter of 2019. The Big River project, located about 15km south of the 1.6 million tonne per annum Globe-Progress processing plant, is even better, producing about 134,000 gold ounces above an ounce to the tonne gold, before it was closed in 1942. The focus here is the actual Big River mine, which is a structurally complex gold deposit mined underground to about 600m, but has significant lateral and depth potential for Condamine/Blina to further explore and potentially exploit. Outstanding narrow, multi-ounce to the tonne intersections have been recorded around the Big River project area and represent walk-up drill targets for Condamine. 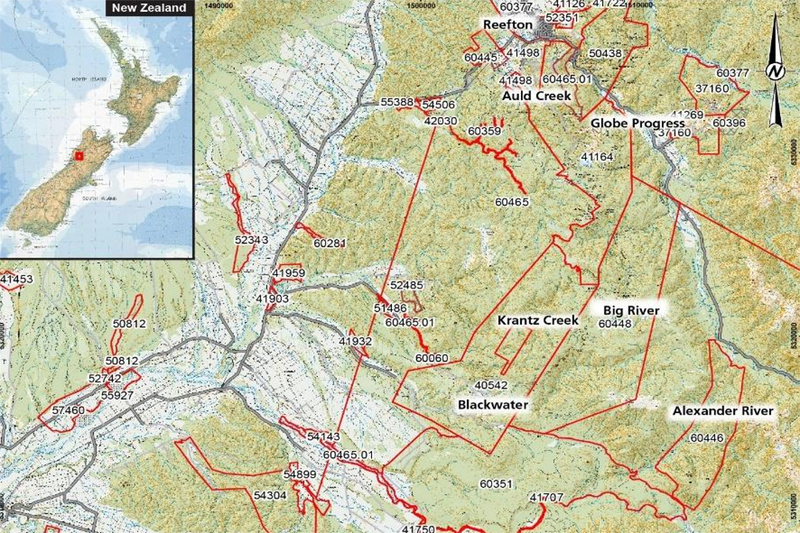 Big River lies adjacent to the new $500m Blackwater mine, a JV between OceanaGold and Tasman Mining, which has historically produced 735,000 ounces at 14g/t gold. The Blackwater deposit retains a JORC-compliant inferred underground gold resource of 900,000 tonnes grading 23g/t gold for nearly 700,000 ounces of contained gold and is being developed even further by the JV partners. 60km north of the Blackwater mine, Condamine controls the Lyell gold project, which has produced over 100,000 ounces of alluvial and underground gold since 1862. The Alpine United mine accounted for over 80,000 ounces of this total production at an excellent grade of 17g/t gold, from less than 150,000 tonnes of quartz-hosted mineralisation. The large fourth project at Reefton South is more of an exploration play. The area contains two small historical mines, which are situated north of the Globe-Progress mine, which itself has produced 938,000 gold ounces from both open pit and underground mining operations. It appears that the wait has been worth it for patient Blina shareholders, with the company now taking an 11% stake in a company holding a strong tenement position in a high grade, under-explored historical mining district in New Zealand. Any new drilling results will be keenly watched and may even lead to further corporate action between the two players.